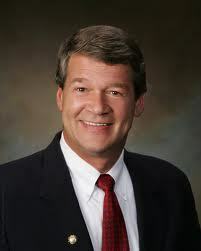 BISMARCK, N.D. (Legal Newsline) - North Dakota Attorney General Wayne Stenehjem announced a ruling on Friday against Minnesota's Next Generation Energy Act. Judge Susan Richard Nelson ruled the Minnesota law violated the Commerce Clause of the U.S. Constitution because it attempted to regulate the generation of electricity occurring outside of Minnesota's borders. States are not permitted to regulate conduct that occurs in other states. Stenehjem's office and multiple co-plaintiffs filed suit against Minnesota in 2011 for attempting to enforce the law. "This litigation was a last resort, coming only after repeated unfruitful meetings with Minnesota elected officials and regulators," Stenehjem said. "The result of this litigation has been exactly what we predicted from the beginning. We insisted that the state of North Dakota should not have to seek permission from Minnesota regulators to provide electricity to residents of Minnesota and other states in the region." Stenehjem said North Dakota's power plants export most of the electricity they produce to consumers in other states, including Minnesota. Nelson ruled the NGEA overreached because it required out-of-state entities to seek regulatory approval in Minnesota before undertaking transactions in other states. "I am pleased that the court agreed with our position and declared the entire statute unconstitutional," Stenehjem said. "This ruling will allow North Dakota to continue its role as a vital and essential source of affordable electricity for consumers in Minnesota and across the country."